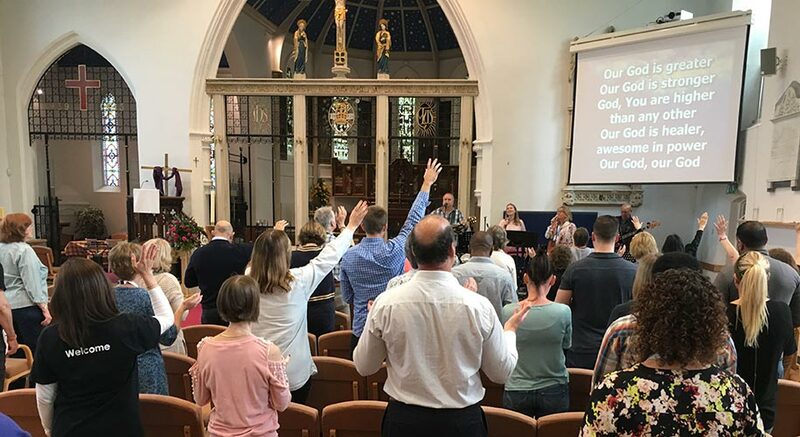 8am A quiet service with no singing where we use traditional prayers and have the opportunity to receive Holy Communion or a blessing, lasting about 45 minutes. 9.15am A mainly traditional service with singing led by our excellent organist and choir with well loved hymns and some newer songs of worship too. A special KidsGroup runs during the service for Primary aged children. An opportunity to receive Holy Communion or a blessing lasting about 1 ¼ hours. 11am A contemporary and informal service with singing led by our inspiring worship band. Kids Church internal link runs for primary aged children & a Creche internal link for pre-schoolers during the service which lasts around 1 ¼ hrs. The talks are on the same theme at all of our services. Prayer for healing is offered at all of our services.